Below we detail the advantages and disadvantages of top robo advisors such as Betterment, Personal Capital, WealthFront and more. Note: Information may change from time of publication. Additionally, we are not a registered investment advisor and everything here is for information purposes only. Finally, we have an affiliate relationship and earn money if you sign up for any programs but everything is 100 percent confidential and costs you the same and sometimes even less! Over the past few years, we’ve seen ‘the rise of the robo-advisor’, as both incumbent and new contenders on the scene such as Betterment have released their automated financial products. By 2020, it has been forecasted that the value of assets managed by robo-advisors will have skyrocketed to $8.1 trillion. The more robo-advisors become established, and continue to disrupt the financial industry, the more investors decipher between services to ascertain which one is best for their individual needs and portfolio. Luckily for you, our Value Walk readers – we’ve created a guide with 5 of the best robo-advisors to help you to make an informed decision. Artificial Intelligence is rapidly transforming almost every field, from healthcare to education – and now, even wealth management. In simple terms, a robo-advisor is a piece of automated software that is driven by algorithms, that provides financial advisory services via an online platform. Whilst technology makes digital advisory services possible today, the wealth management model has evolved over the years, from the traditional face-to-face service to digital advisory made possible via platforms such as Betterment and Wealthfront. They are cheaper than traditional advisors. Robo-advisors provide increased transparency into investment options. Increased accessibility to investment through low, or no minimums or fees. The use of EFTs to build up diversified portfolios. Betterment launched in 2010, and has grown to become the largest independent robo-advisor, with over $10 billion in assets under management and over 270 000 customers across its three lines of business: direct – to – customer, Betterment for Business and Betterment for Advisors. Low fees – expense ratios are lower than the industry average. Personalized financial advice and advanced tax lowering strategies. All of the benefits of the digital plan. Access to Betterment’s customer service 7 days a week and unlimited access to to financial experts at any time. 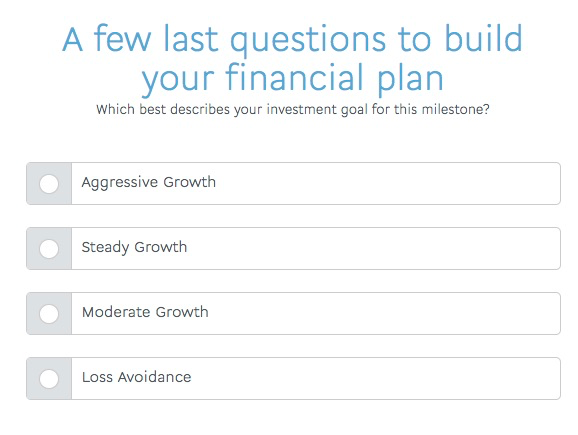 In-depth advice on investments outside of Betterment. 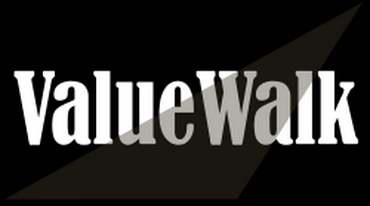 A low-cost and globally diversified investment portfolios. Unlimited access to professionals who will provide financial advice regarding major life events such as having a baby, getting married and retiring. 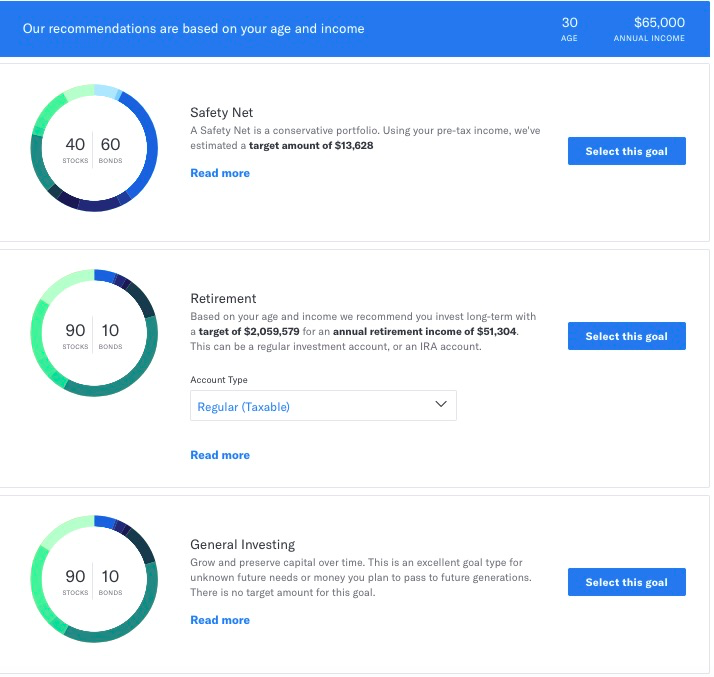 Is Betterment the Robo-advisor for you? Betterment creates customized portfolios comprised of a globally diverse range of exchange-traded funds, designed to help you to gain better returns at a variety of levels of risk. You have a low balance. 2) Choose your investment goal – based upon the details you enter in the first step, you will be provided with a selection of recommendations to choose from. 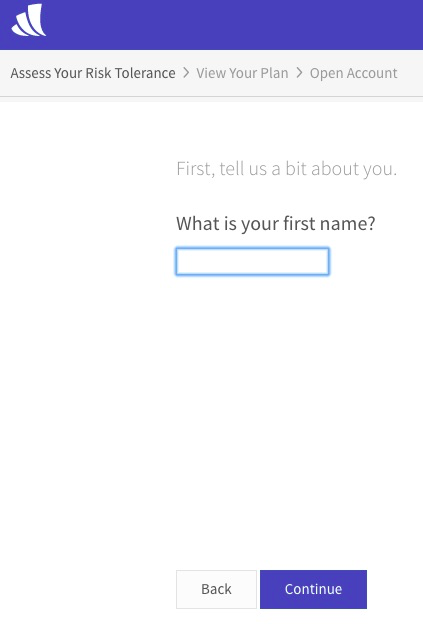 Then you’ll be prompted to enter in your email address, and enter in a password. The founders of personal capital are passionate about combining the power of technology with financial expertise to provide customers with a great money management experience, that is more accessible, affordable and honest, to ultimately empower them and their money. Personal capital have 1.4 million users and $5 billion in assets under management. Personal Capital dashboard that lets you see your account balances and transactions, income reports, key holdings, projected investment fees, net worth and much more. 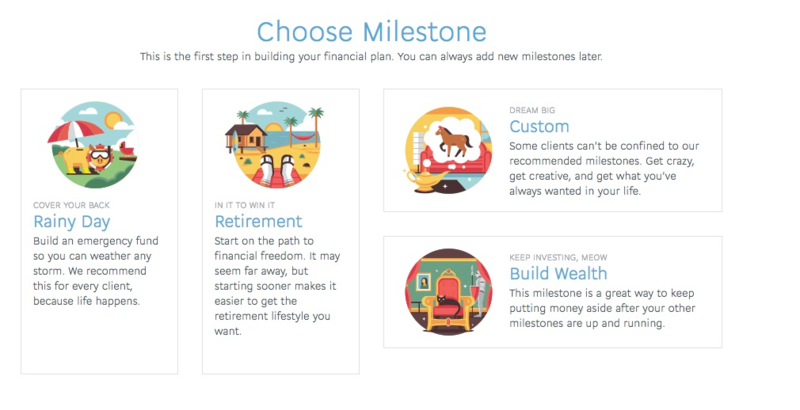 Retirement planning: this tool helps you to track how far you are from your retirement goals, so that you can better forecast, build and manage your retirement plan in one place. Investment checkup: this tool enables you to compare your current portfolio to your ideal allocation, with the aim of minimizing risk, and maximizing return. 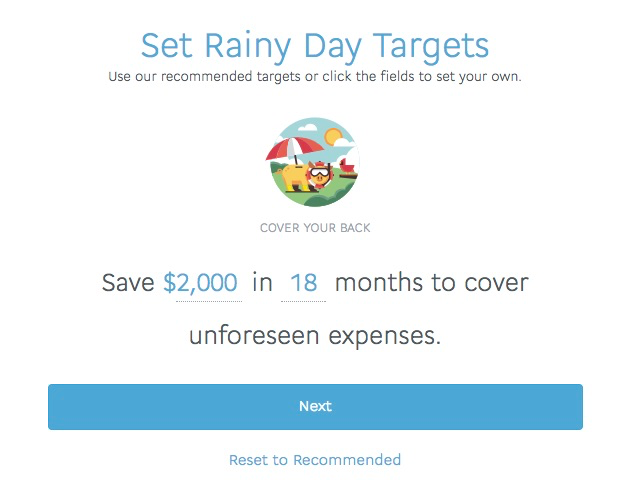 Fee analyzer: reveals any hidden fees. 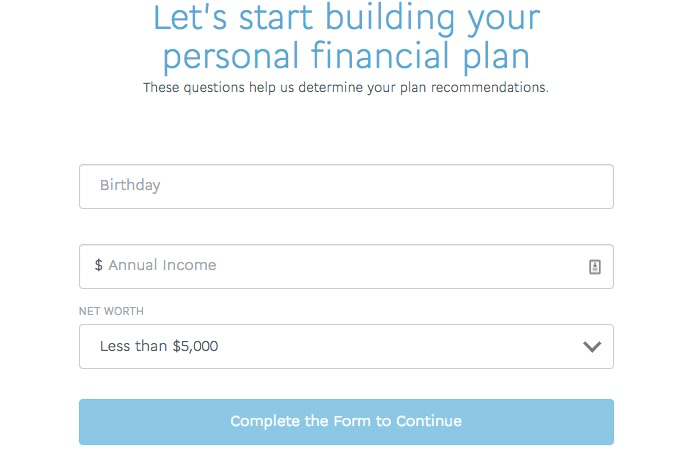 Is Personal capital the robo-advisor for you? 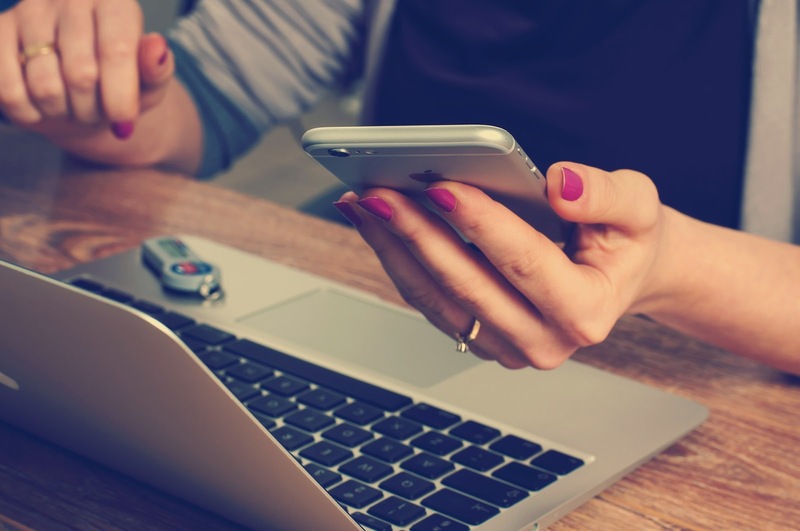 Personal capital is the robo-advisor for you particularly if you still want the human touch as the service provides both the sophisticated algorithms as well as human advisors. You are an investor with a high net-worth. 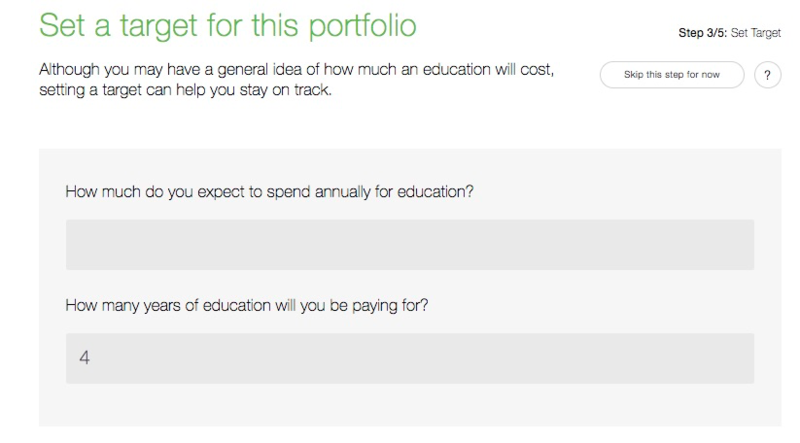 Answer the signup questions so that your financial situation can be evaluated. Your personal financial strategy will then be created. Your account will then be opened and funded. The strategy will then be implemented. 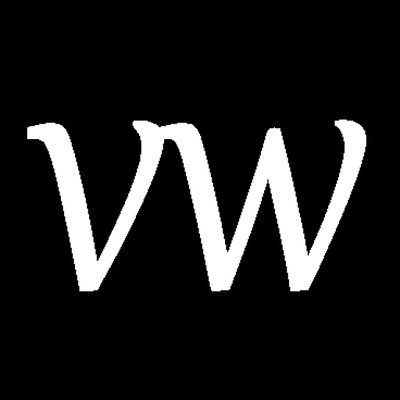 Wealthfront’s philosophy is influenced by Economist Burton Malkiel, and places great emphasis on passive investment. Put simply Wealthfront believe in enabling their clients to put their money into a diversified portfolio comprised of low-cost index funds, and having the patience to “stay the course”. 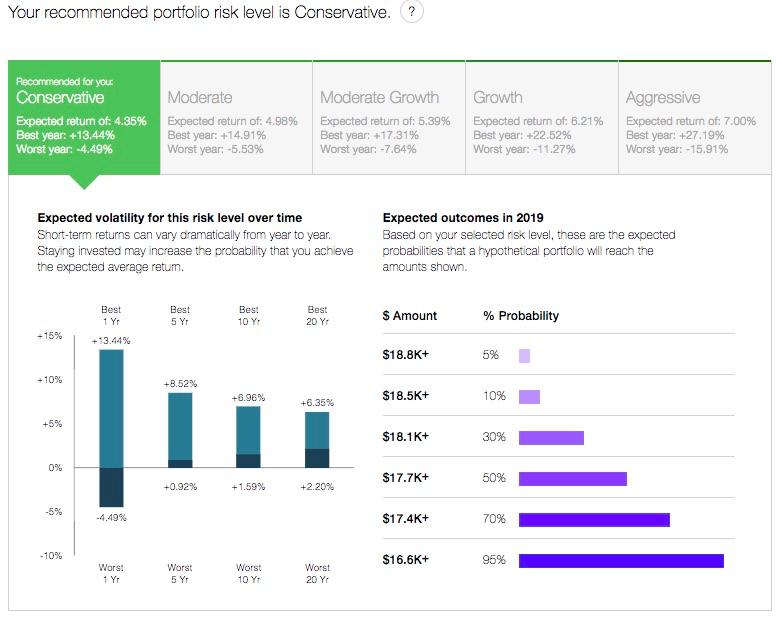 Diversified portfolio: wealthfront creates diverse portfolios to help to manage your risk tolerance. Lower taxes: Wealthfront’s software strategically executes trades to lower your tax obligation – so that you can reinvest the money you save. Wealthfront select low-cost ETFs, and charge an advisory fee of 0.25% annually – with no trading commissions, hidden fees and no financial advisor salaries. 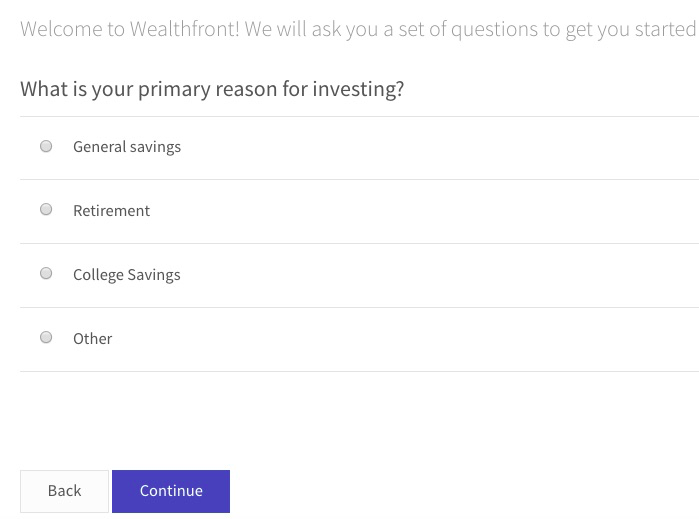 Is Wealthfront the robo-advisor for you? 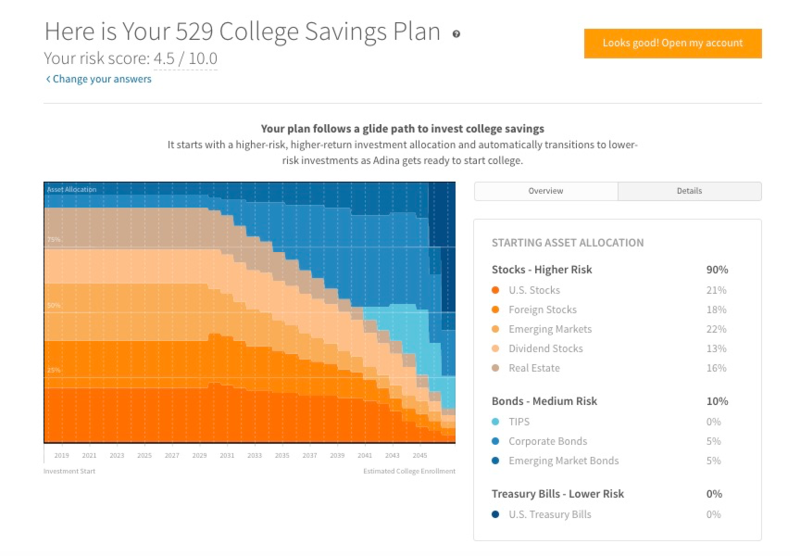 You require the management of 529 college savings plans. 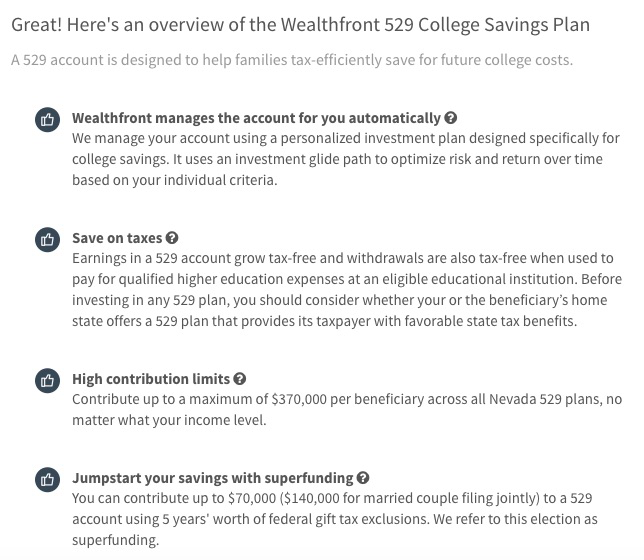 You need tax strategy, as Wealthfront features direct indexing on accounts on accounts over $100 000. 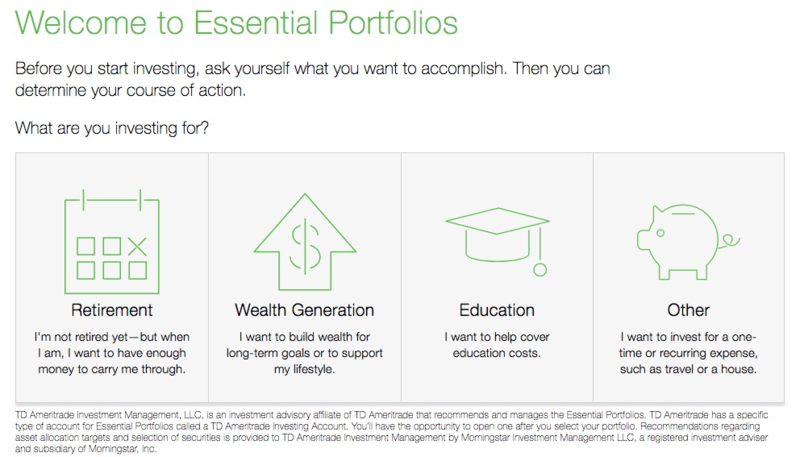 Essential portfolios is offered through TD Ameritrade Investment Management LLC, and is an automated, cost-effective investment solution that uses sophisticated technology to help clients to pursue their financial goals. Ameritrade have been refining and innovating their technology over four decades. The platform has been designed to be easy to navigate and simple to use. The minimum deposit is $5000 and the advisory fee is 0.30%. 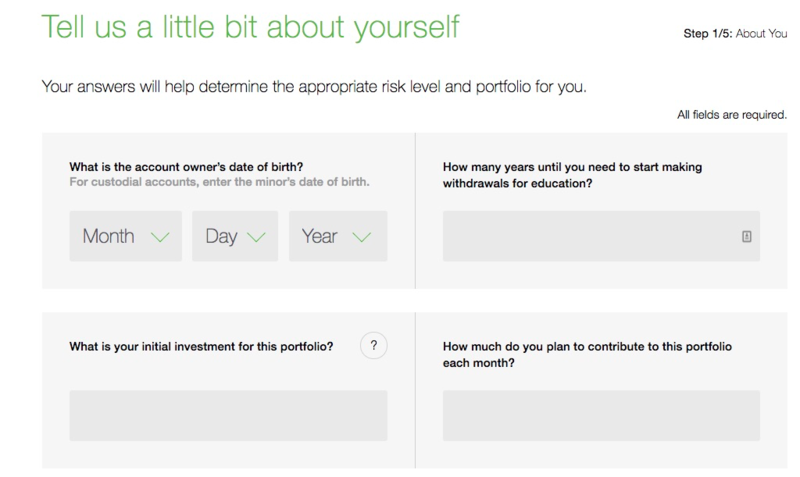 Is Ameritrade’s Essential Portfolios the robo-advisor for you? You require a low-cost ETF. 2) You’ll then be asked to fill in some information, including your liquid net worth, how much you are planning to put into the account each month and your initial investment for the portfolio. 3) Then state how much risk you are personally willing to take. 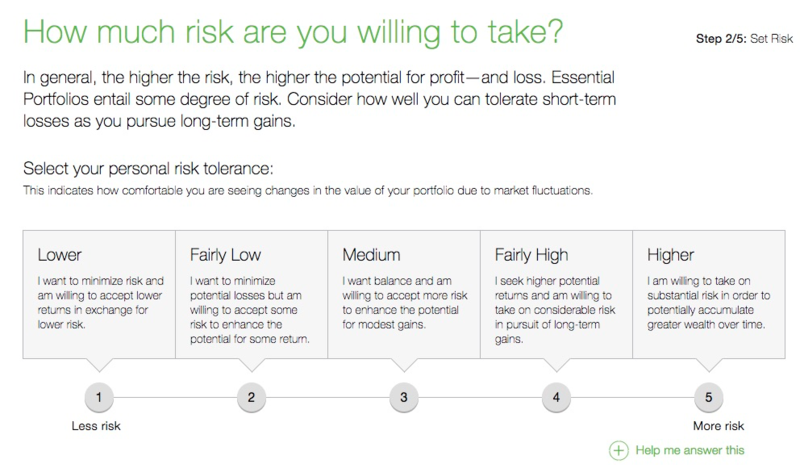 Based upon what you select, you’ll be automatically recommended a portfolio risk level. 4) set a target your target for the portfolio. This will depend upon what investment target you select. 6) once you’ve agreed to the terms of service, you’ll then be able to open your account. 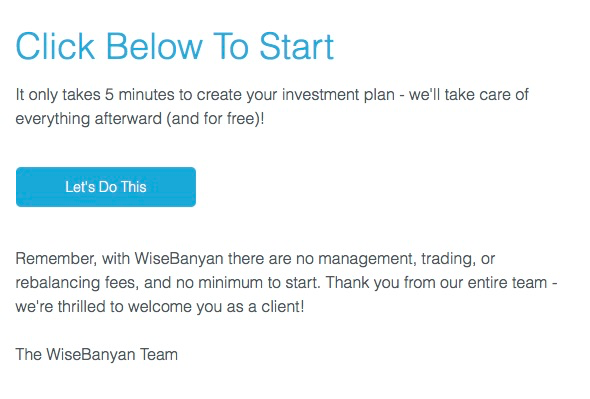 WiseBanyan believe that “Investing should be a right – not a privilege.” They have dubbed themselves as the world’s first free financial advisor. Their offering is has a $0 account minimum and management fee. $0 account and management fee. The average ETF expense ratio is 0.12%. Their offering is has a $0 account minimum and management fee. 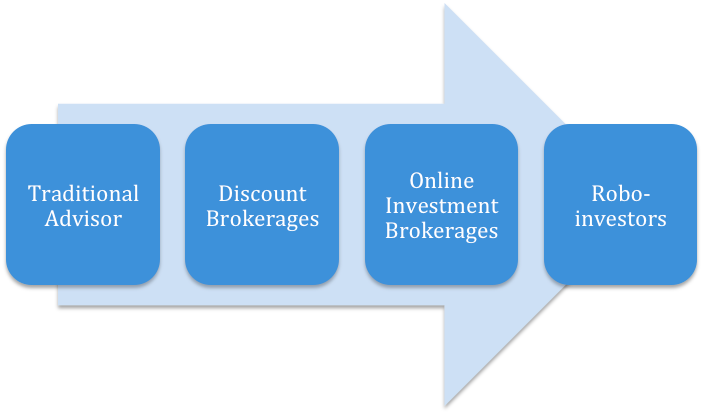 Is WiseBanyan the robo-advisor for you? Enter your email address and check your inbox for an invite. 2) Enter in your basic information. Some questions as to how you would react to hypothetical scenarios. 6) Review your allocation, make an initial deposit and set up an auto-deposit plan. 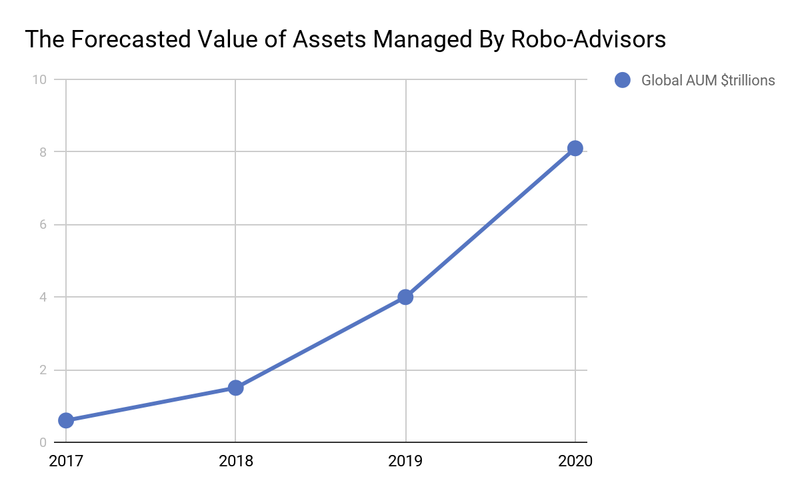 In the near future, we expect the value of assets managed under robo-advisors to increase significantly. Robo-advisors are a great option if you are looking for a simple, yet high quality and low cost investment portfolio.